“The Bad & The Beautiful” is a series of paintings, sculptures, and a video about the bad and beautiful times I’ve had while at UCSC and in my life. This is also a small reflection of how my mental illness and my physical disability have affected me in my art journey. The reception will be held on November 16th at 8:30pm and will end at 10:30pm. 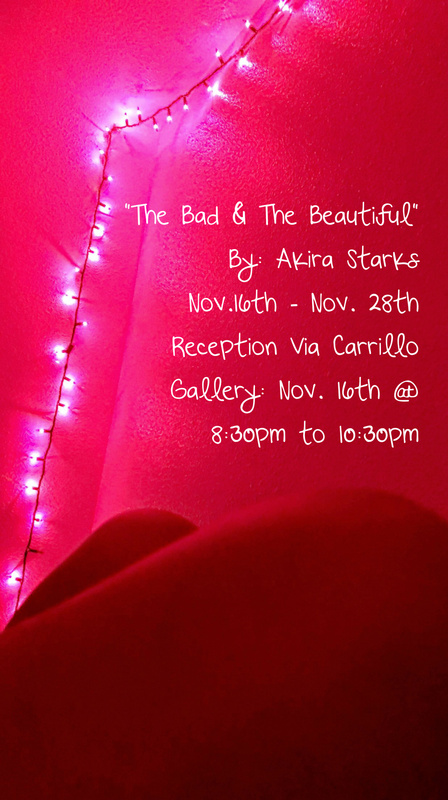 This show will be running in the Eduardo Carrillo Gallery from November 16th until November 28th. Please come out and bring friends!